When we going to discus about how to make a family sound and happy then we have to look at those factors which is important to make a family happy and sound. We also have to look those key factors, which is the cause that makes a family unhappy. Happiness is not a thing, which can buy like a product. It’s comes through mental satisfaction. To make a family sound and happy family members should be satisfied at a moderate living standard. Good relationship among family members. Fulfill the basic right (food, dress, shelter, education, medical treatment) of the family members. Make them concern about their duty and obligations towards family. Make them concern about their duty and obligations towards family members. By making the family members aware about their rights. By making family members more responsible about their duty towards himself, family members, society, nations and country. Make a complete plan of action, how to manage the family. By fulfilling the family members wants, needs and demands. Make ensure the complete allocation of wealth and other facilities among family members. It is a most important duty of family chief to listen the problems of other family members. Ensure the participation of other members in making major decision. Family members should try to honor others members feelings. To ensure that all family members are owing the obligations and duties of family ethics (which is given in the reference section). Family members should try to realize others members problem. Family members should try to build up good relationship among each other. A family should try to avoid all those things, which are creating a gap in between their relation. A family should try to arrange reunion or some kinds of meeting, which is important to rearrange the relation. Lack of good understanding among family members. Unsatisfaction, which is very important factor in the question of family’s happiness. Economic problem is a very important issue. A little misunderstanding may cause a great kind of problem. Not to show respect on others feelings cause of a trouble. Miss behavior creates a great amount of problem. Not to show respect on others opinion and sentiments is also a problem-creating factor. Impatience, unmerciful is also problem-creating factor. Lack of secrecy create problem in family life. 10. Not to be attentive on other words create problem. 11. Not to listen problems of others create problem. 12. Un sacrificing tendency is not suitable for a happy family life. 13. Not to be helpful and merciful is not a suitable tendency for a happy family life. Happiness comes through satisfaction. It is a very important practice for family members to satisfy themselves within what they have. Otherwise a family cannot be completely happy and sound. It is a very important factor that a man or women’s family should must be sound and happy otherwise it will be impossible to expect a good impact from him or her. 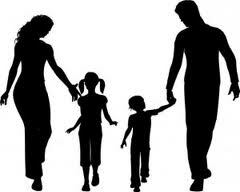 Family leads a very important role in a man’s or women personal life. So it is very important that a good and happy family can help to makes a man or woman successful. Family can lead a very important role to its member’s mentality. Any body shouldn’t expect a happy and soundman from an unhappy family. Happy and sound family is very much required for a complete human being non can achieve his or her goal without family support.